The community will meet in October in Arlington, Texas. 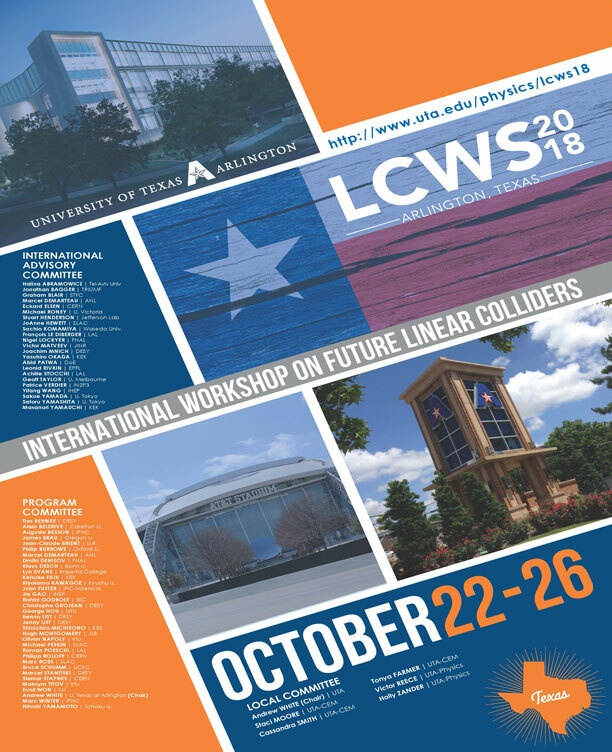 The 2018 Linear Collider Workshop (LCWS2018) will be held on the campus of the University of Texas, Arlington on 22-26 October. This is the latest in the long series of linear collider workshops, dating back to Saariselkae, Finland, in 1991. The community has met numerous times over the past 27 years, but never with the level of positive expectation that we have now as a decision on hosting by the Japanese government approaches. The ILC Advisory Panel under Japan’s Ministry of Education, Culture, Sports, Science and Technology (MEXT) has concluded four years of review of the ILC and the ILC Committee of the Science Council of Japan is now very actively engaged in its review. Recognising the great scientific potential of the 250-GeV ILC (ILC250), the Linear Collider Collaboration (LCC) put forward the case for the ILC250 during 2017. This is based on a revised, more affordable design of the full 500-GeV ILC of the ILC Technical Design Report. The LCC Physics Working Group refined and strengthened understanding of the reach of the ILC Higgs couplings measurements already at 250 GeV (arXiv:1710.07621 [hep-ex]). Design options for the 250-GeV ILC were also documented (arXiv:1711.00568 [physics.acc-ph]) and presented as a linear collider project at a much lower cost. The introduction of the ILC250 concept has positively impacted the ILC decision process in Japan. The Japanese MEXT’s ILC Advisory Panel released its report (“Summary of the ILC Advisory Panel’s Discussions”) on 4 July. This report summarises the outcomes of the several working groups that had been reviewing for several years a broad range of aspects of the ILC, including second reviews of the scientific merit and the technical design after the ILC was proposed to start at 250 GeV centre-of-mass energy. 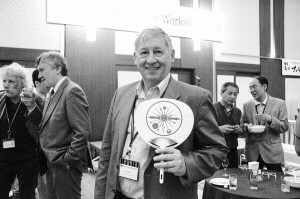 TheTDR-Validation Working Group (referred to as the TDR WG) was created to discuss issues addressed in the Technical Design Report and the ILC250 design, such as cost estimate and technical feasibility. During their discussion the TDR WG noted a few aspects of the technical systems that need to be completed during the preparatory phase of the project. Other working groups of the MEXT Advisory Panel review commented on manpower needs, organisational aspects and experience of previous large projects. Jim Brau is also an ILC Supporter. The report of the ILC Advisory Panel was followed by the beginning of deliberations in a committee and technical working group established by the Science Council of Japan (SCJ). The ILC Committee of the SCJ has met six times since it first met on 10 August. We look forward to the outcome of these deliberations soon. Another independent committee (ILC Liaison Council) led by the leadership of the majority party, the Liberal Democratic Party, was convened recently to encourage the national government to proceed with the ILC. These important discussions in the Japanese government are advancing as we prepare for the update of the European Strategy for Particle Physics. This is a critical process to the future of the linear collider, impacting significantly the perspective the broader particle physics community will take toward the ILC. The update strategy must include a priority for participation in the ILC, as the strategy did in 2013, if we are to continue in a vigorous way toward construction of the ILC. Input to the update process is due on 18 December this year. There will be meetings to discuss the strategy topics in 2019 and the strategy will be finalised early in 2020. For the ILC, the status of the Japanese deliberations early in 2019 will be a critical factor. As noted by the Physics WG of the MEXT Advisory Panel, the ILC250 has a powerful capability to probe the Higgs couplings for evidence of physics beyond the Standard Model. For this reason, the 250-GeV collider is an enormously exciting first phase of the project. Higher energies may be considered later to capitalise on the full potential of the ILC, including unique top physics and eventually Higgs self-coupling measurements. For now, we must concentrate our support on launching the 250-GeV collider. Once it is successful we can work towards upgrades that will enable higher energy physics as warranted. The Fermilab programme stands as an example of how this can unfold. Fermilab was originally approved for a 200-GeV proton beam, which was reached in March 1972. Through effective management and innovative effort the energy reach doubled from the design energy within the first year. The success of the initial Fermilab programme motivated funding to upgrade the energy to 800 GeV and to eventually produce beam collisions at a centre-of-mass energy of 1.6 TeV in 1985. This model of evolution of a laboratory illustrates how the future of the ILC could evolve. 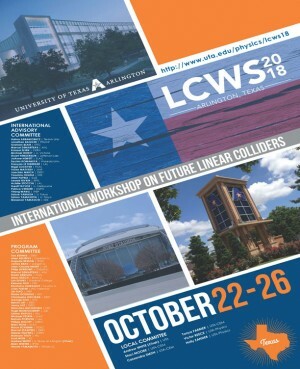 LCWS2018 will include discussions on these matters, as well as presentations of ongoing technical efforts on the physics, detectors and accelerator. The programme is now being planned and conveners are working on the parallel session agendas. Related talks on topics of projects other than the ILC will be included. Those interested in presenting recent results should contact the conveners. By the way, if you would like to express your support for the ILC you will have the chance to do so at the meeting: there will be a video team to record your #mylinearcollider message.